Art to see, give and take. The visitors to Chashama can feel like collectors before their first purchases, except that no money or goods need to be exchanged. 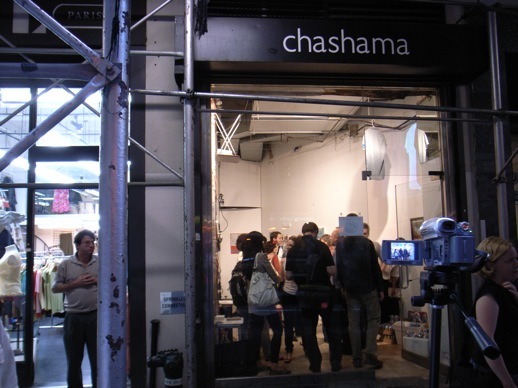 Chashama is an institution finding and providing free temporary spaces for artists to hold short exhibitions. 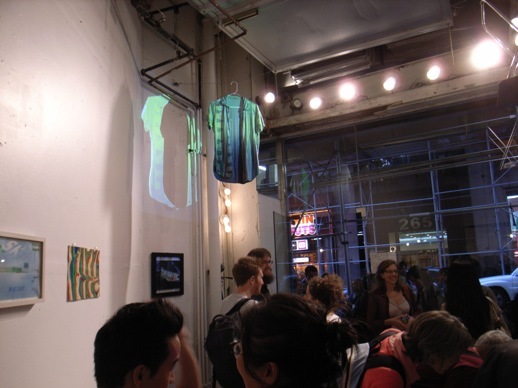 It has several temporary spaces in NYC and one such space is tucked away among ordinary clothing stores and hidden fashion design studios in the middle of the Garment District. 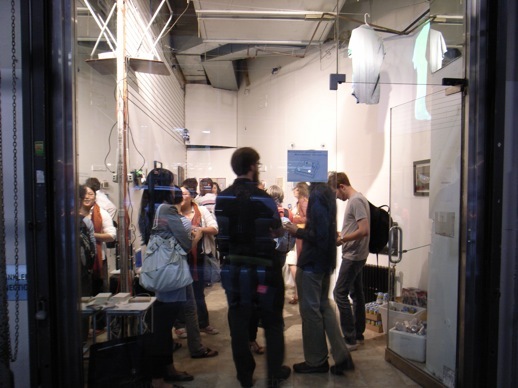 Two artist-curators, Anna Ogier-Bloomer and Erik Sanner, have opened up the Chashama space for only a week. 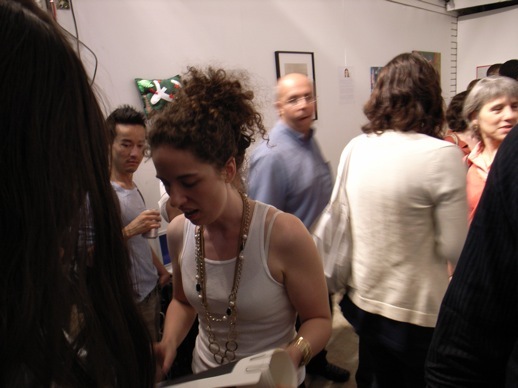 Artists can bring in their work to show and later donate to the gallery visitors, including other participating artists, to take home in a sort of, but not quite, barter. Visitors are not asked to leave anything in exchange; leaving a work of art for other visitors to pick up is only an “encouraged” option. 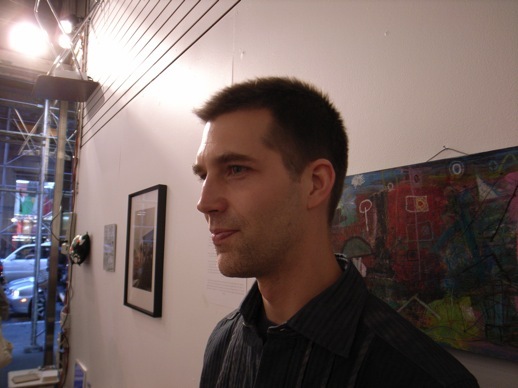 On the opening night, Eric Sanner, curator and participating artist, said that if an art work is requested by more than one “collector,” they will need to justify why they want the particular work. The most convincing argument wins. One is only required to email the artist whose work they take home. The visitors to Chashama can feel like collectors before their first purchases, except that no money or goods need to be exchanged. Last night I felt like a true collector, just starting out, who would like to collect to his taste and not to the market’s. At the end I decided not to start a collection just yet, unsure of what I liked most out of the many good art works. Hopefully there will be more works to pick up or just look at, after a score of them were given away at the opening reception. The views expressed on NYABlog are those of the author and do not necessarily reflect those of their employers, or NY Art Beat.